I am a writer who writes romantic fantasy. 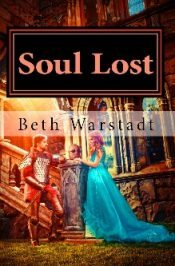 I self-published my first book, Soul Lost, which is a time travel romance. 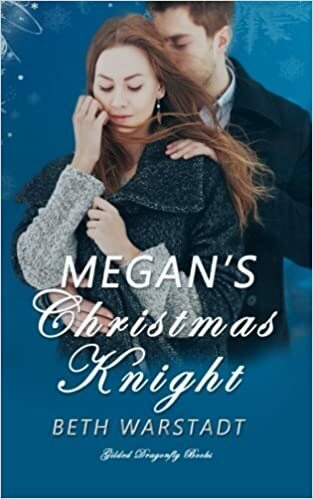 I published Megan’s Christmas Knight with Gilded Dragonfly Books, which is a Christmas fantasy romance. Now I am ecstatic to have a contract with Wild Rose Press for Maisie’s List, which is a sweet contemporary romance. 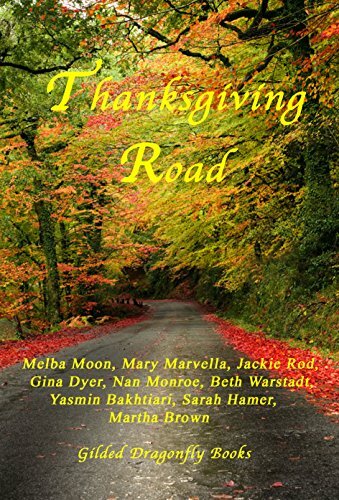 I’m not making a living with my writing–not yet–but I am living my dream. I am also a wife very much in love with her husband of 34 years. I am a mother who is over-the-moon proud of her two grown sons, out pursuing their own lives but still having the good manners to stay in touch with Mom. I am a daughter struggling with the care of a failing parent, but who continues to be blessed with her mother’s company. I am a sister. I am a friend. I enjoy cooking, and according to my fans, I make the best chocolate chip cookies and brownies around. My husband and I love to travel. On our agenda for next year–the UK. I am a paraprofessional in the media center of an elementary school, and I just finished the year with my “Star Wars Club” of 3rd, 4th, and 5th graders. We made a movie called The Last Kyber Crystal. They were splendid. Favorite movies: Too numerous to name, but certainly Lord of the Rings and Star Wars are at the top of the list. Favorite TV shows (currently) : Outlander and Game of Thrones. Also I love the new Lost in Space on Netflix. Have you seen it? If you took the time to read this then you know me pretty well. I would like to know you, too, so please leave a comment. This is Ali from your Blogging course. I have really enjoyed your bloig. I feel as though I can relate to you on so many levels. I too am a busy mom. My ten year old is on a competitive gymnastics team that travels all over the Pacific Northwest My other daughter, 13, has Down Syndrome with some signs of Autism, and needless to say, keeps me busy. My days are spent, errand running, car pooling, helping at bake sales, you name it… Fitting in time to write is a definite challenge. I love your description of your son and husband hovering over you like cavemen… totally can relate! I too am an English Lit major from a Southern school: University of Virginia. (You may not consider that too southern, but trust me, for four years, being that I was from the Northeast (Connecticut), i was called a Yankee 😉 I applied to Emory and remain very impressed by it. I love to cook, hike, read (of course)…my favorite Harry Potter was number 4 – Goblet of Fire, although number 6 is probably next. Star Wars rocks. You mentioned music also…I play guitar, flute and piano–or at least try. So I look forward to getting to know you better and picking your brain for some of your blogging tips! Ali, Thanks so much for taking the time to read my “About” page. I feel an affinity with you already; I can’t wait to see what winds up on your blog. We have more in common than you know. As I mentioned I am a special ed parapro. I’m IRR (Interrelated) which means my students are all in the regular classroom most of the time. My immediate goal is to get them through the 5th grade, but the county goal is to see them all be high school graduates. Many of my kids are newly diagnosed on the spectrum of autism, particularly Asperger’s. I have a blog on my mind regarding my experiences in special ed, but let me just say that this is my favorite job ever. As for all the rest, we’ve got plenty to talk about, but I’ll try to spread it in more comments and connections so that we both have time to read and reply. Thank you for taking the time to comment on my posts and look through my blog. You’re the first person from the USA to do so… and being from Australia, any international attention gets me all excited. I am also into fantasy writing, and have just finished my first novel in the genre. I recently had a manuscript assessment completed on it, and now another draft awaits me. I would love to follow your blog and bounce off each other’s ideas. I look forward to your future posts. Thank you for taking the time to comment on my posts and look through my blog. You\’re the first person from the USA to do so… and being from Australia, any international attention gets me all excited. I would love to follow your blog and bounce off each other\’s ideas. I look forward to your future posts. So glad that you put this together–good for you! You have a lot on your plate, but I’m happy that you get to add one more thing. I was a little surprised to see that Ender’s Game didn’t make your list of favorite books. Just kidding. I do remember trying to get the kids to see the link between Cambell’s ideas and “real” life. At times it seemed to be a bridge too far. Best of luck to you and please continue to read and write. I can totally relate to the “tired mom” phase of life; I’m well into that, for sure! Three boys and a little girl due in about six weeks. We are blessed for sure. How many more days of freedom? Enjoy what we have left! To quote the kids: OMG! A little girl! Congratulations. I am so happy for you. Don’t worry–Ender’s Game is coming up soon. Don’t be surprised if you occasionally see comments that sound familiar about that and Farenheit, but I’ll give you the credityou deserve. I remember your power point on Campbell and how excited I was to see it in your class. My younger kids pay better attention, so maybe some of the comments will stick. I now have you on my favorites bar. I look forward to becoming a regular reader. Thanks so much for letting your friends know about your new endeavor. You have been telling me about your blog for weeks, and just now, at 12:30, i have read all your posts to date. i am humbled to be reminded of how wise, deep-thinking, and joyous your soul is. My left-brained mind envies your talent with words, and this is from someone who has spent hours (weeks, months, years?) in deep conversations with you. i am so deeply grateful to have you as a life-long friend and for being a part of your family. You didn’t mention that you’d stopped by during our conversation yesterday. You must have been distracted by my hoarse voice and hacking cough! thanks so much for checking out my blog. You will certainly see your name (first only, of course) mentioned a time or two. Here’s to the best friend ever. Hi Beth! Kinda stumbled across your blog and like it very much. Will have to try and visit it routinely. Question… have you ever tried to get yourself published online? I have another writer friend who has successfully done that. So far she has made just a little bit of money doing this… but she can now say she is published. It is good for her ego, and I think it may have allowed her to join some professional writer’s organizations. Just a thought. Welcome, welcome! So happy to hear from you my LOTR friend. Yes, in fact, I am published online now; guess I should change my “About” page. Still hoping for a Dragoncon reunion someday. You made my day! I love you, too. Can’t wait to see you on Thursday!